How to draw Homura Akemi from Anime series Puella Magi Madoka Magica or 魔法少女まどか☆マギカ. 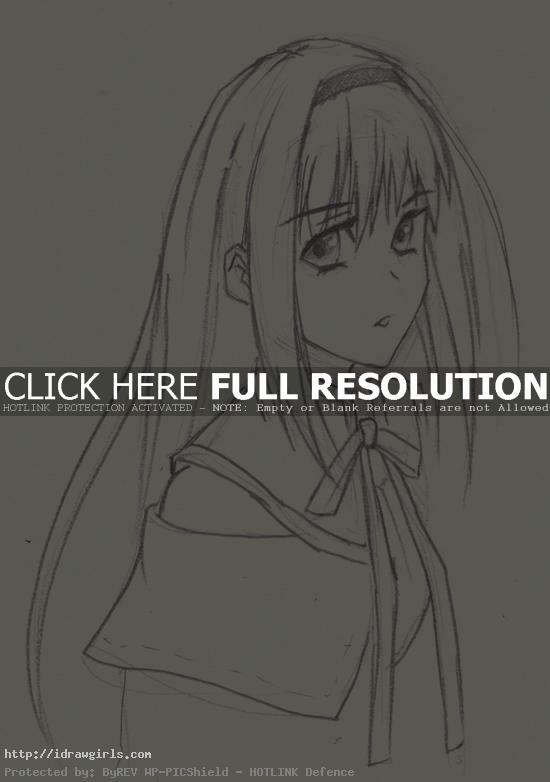 Learn to draw Anime character Homura Akemi from step by step tutorial with easy instruction. In this tutorial, you will learn to draw Homura Akemi from Anime series Puella Magi Madoka Magica. The easiest way to get a correct drawing is to break down the drawing into simple geometry. Usually before you start to draw something new, you should observe the subject and try to make it into a simpler version using just simple shapes. It will make the drawing process easier. That is one of the drawing secret to get your drawing looks good. Other than simplify, measurement and placement of all elements, such as space from right eye to nose bridge or from mouth to chin, are also very important to get them right. Correct shape and positioning initial pieces within the drawing will make your drawing more accurate and more appealing. Once you get the shape and form you need to take the drawing to the next step. Learn to carefully observe the over all shape of a subject you are drawing will make you excel in your art skill. Homura Akemi A smart, graceful, athletically-talented girl. Cool if not chilly, her personality even can even be seen in her posture. Her primary ability is to stop time, all her other abilities and attacks seem to come from non-magical items, such as firearms and bombs. Her time manipulation device can also allow her to travel back in time, act as a shield, and seems to act as a limitless storage facility. She seems to be a magical girl, but there are a lot of mysteries surrounding the way she acts. Her fighting style is also unidentified. A magical girl, or “Puella Magi”, is an adolescent girl gifted with powers granted by making a contract with an Incubator. The terms of the contract are that the Incubator will grant the girl one wish, and in exchange, she will use magic to fight against witches. The powers she receives are often related to her wish; for example, a wish to cure someone will grant enhanced regenerative abilities. There is a range of magic as its nature varies depending upon the girl and the contract made. A magical girl’s power radiates from a special gem she carries called a Soul Gem, which is created when she makes the contract to become a magical girl. Magical girls are not invincible, and if she dies in a barrier fighting against a witch, her body will remain there and she will be forever considered missing. Here is a final drawing of Magical girl Homura Akemi. 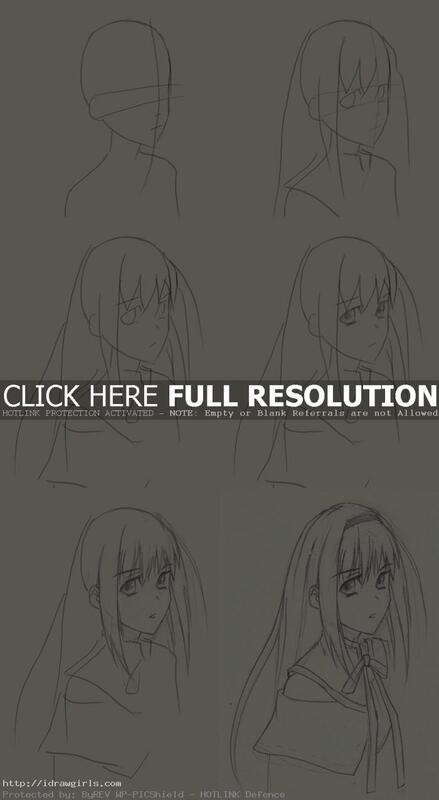 Below are step by step how to draw Magical Girls Homura Akemi. Madoka magiaca. I loved that anime. Gen Urobochi is a great writer. wat a wandeful site for drawing.